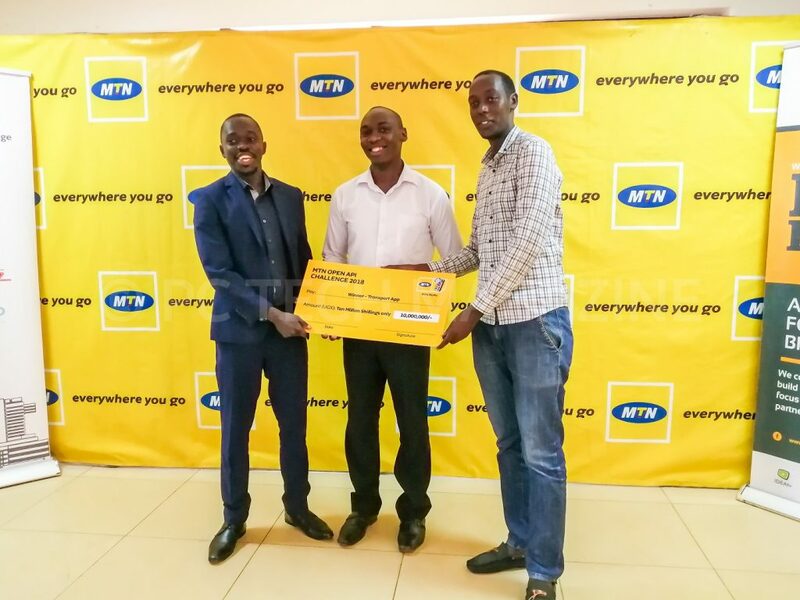 Winners of the 2018 MTN API App Challenge pose for a group photo after receiving their cash prize at the MTN Uganda offices in Nyonyi Gardens, Kampala on Friday March, 29th 2019 | Photo By PC TECH MAGAZINE/Olupot Nathan Ernest. 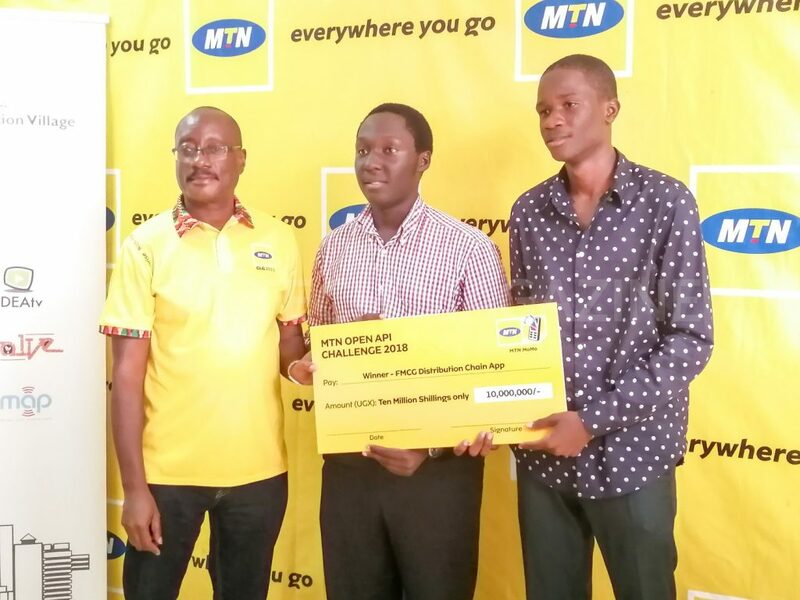 MTN Uganda has today handed over cash prize worth UGX66 million to the winners of the 2018 MTN API App Challenge. The award ceremony was held at the telco’s head offices in Nyonyi Gardens, Kampala. The cash prize was shared among 9 winners from three categories; Transport, Fast Moving Consumer Goods (FMCG), and HORECA. The overall winners from each category received UGX10 million — while the 1st and 2nd runners-up received UGX7 million and UGX5 million respectively. In addition to the cash prize, all the winners stand eligible to compete for seed capital from the UGX1 billion MTN Innovation Fund. Speaking at the award ceremony, MTN Uganda Acting CEO, Gordian Kyomukama said the telco is committed to supporting innovations by enabling developers leverage their infrastructure. “Our platforms such as the MTN API App Challenge are a statement of our commitment to innovation with ICT space in Uganda,” said Gordian. The MTN API App Challenge launched in 2018, saw about 203 applicants submit for the challenge. The challenge was focused on building solutions for digital payments. From the pool of applications, 22 emerged as finalists. Nine from the HORECA category, Eight and Five from the Transport and FMCG category. Out of the 22, 9 came out winners — 3 from each category. In the Transport Category; Easy Matatu emerged as overall winners. 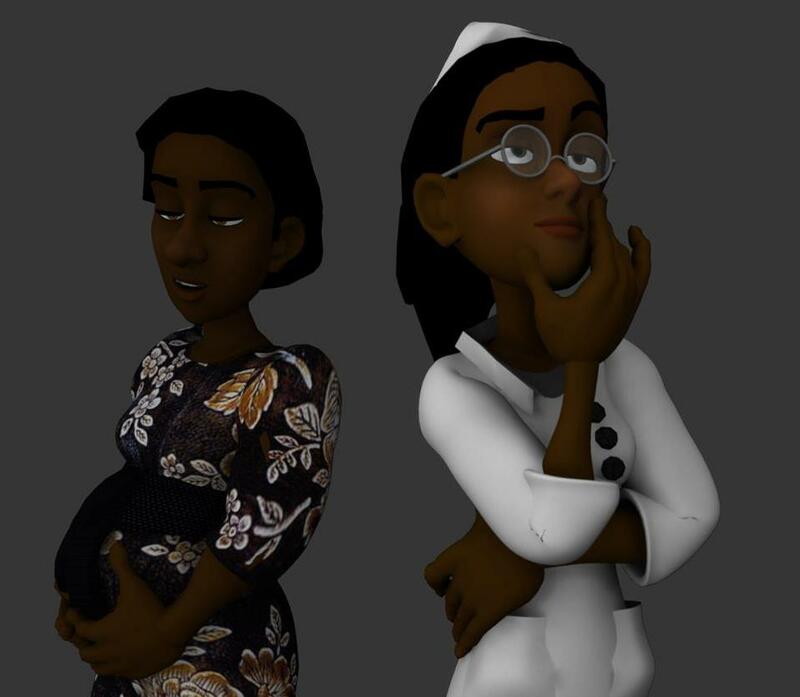 The team developed an app that enables carpooling using matatu’s. 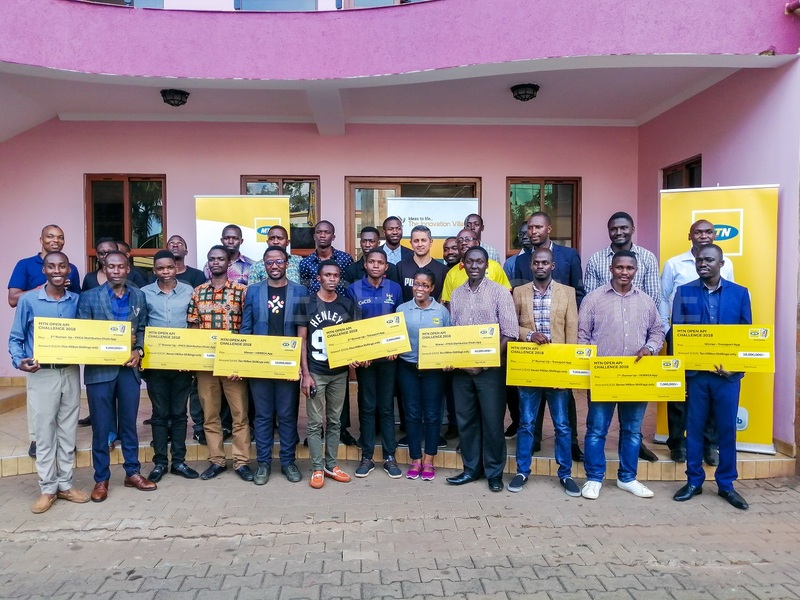 Easy Matatu emerged as overall winners in the Transport Category of the 2018 MTN API App Challenge | Photo by PC TECH MAGAZINE/Olupot Nathan Ernest. In the HORECA Category; App About were overall winners. They developed an app that enables Hotel/Restaurant/Cafe owners to make pre-sales for events. App About emerged as overall winners in the HORECA Category of the 2018 MTN API App Challenge | Photo by PC TECH MAGAZINE/Olupot Nathan Ernest. In the FMCG Category, Minute Five came out as the overall winners. Their solution — an online shopping platform to make grocery shopping easy for those who cannot move to the market. 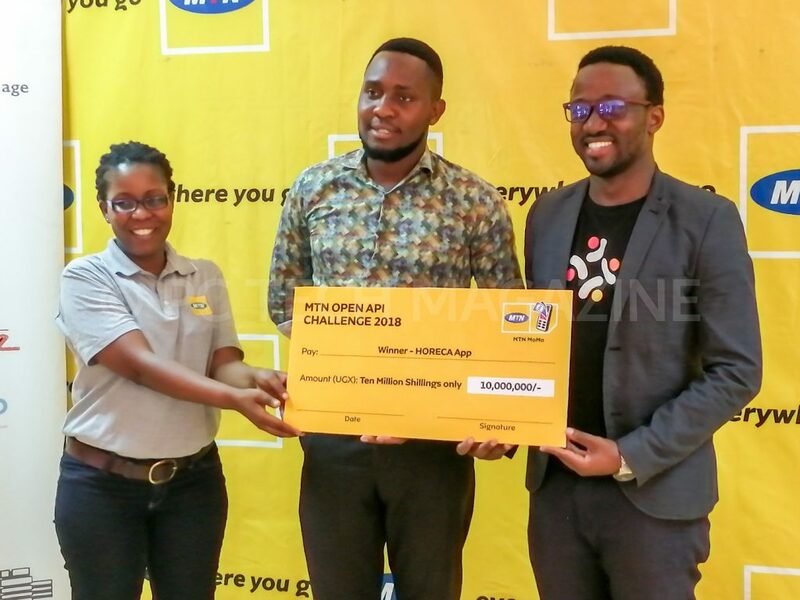 Minute Five emerged as overall winners in the FMCG Category of the 2018 MTN API App Challenge | Photo by PC TECH MAGAZINE/Olupot Nathan Ernest. Ugandans are now set to benefit from a wider community of developers using the MTN Open API to monetize various innovations in key industries. MTN has opened a new portal on its website called MTN Marketplace. 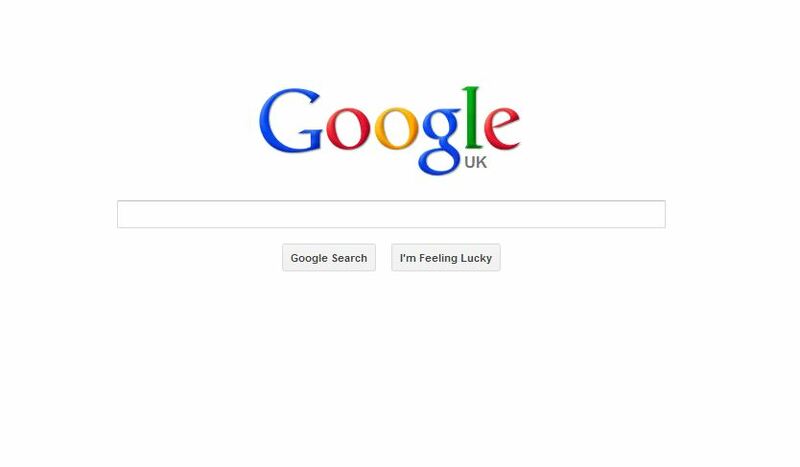 Developers will upload their startups for easy reach by the consumers/public. All the apps in the MTN API App challenge can now be accessed via the portal.